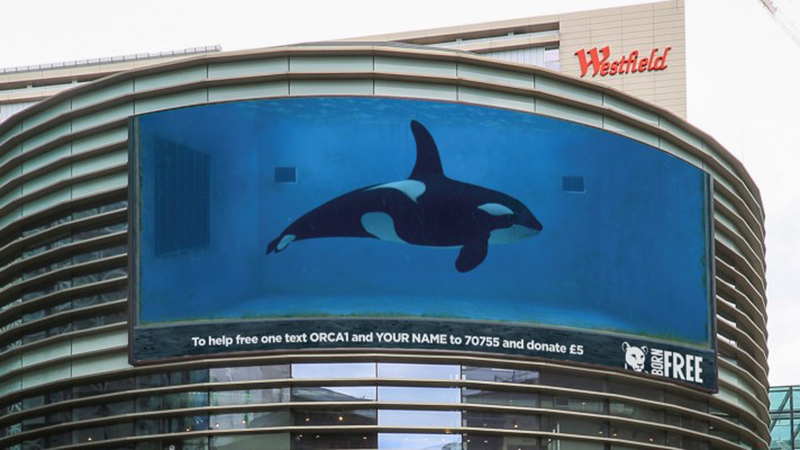 International wildlife charity the Born Free Foundation marks World Orca Day on July 14 with an integrated campaign which sees the spectacular large format full motion out of home screens from Ocean Outdoor transformed into gigantic virtual tanks. Conceived by WCRS, a winner of Ocean Outdoor’s annual digital creative competition (submissions to Ocean’s 2017 creative digital competition are open now), #TankFree uses CGI technology and visual effects from The Mill London to create a series of magnificent life size animated orcas which the public are invited to set free from captivity and return to their natural habitats. Read the full article on Creative Pool.